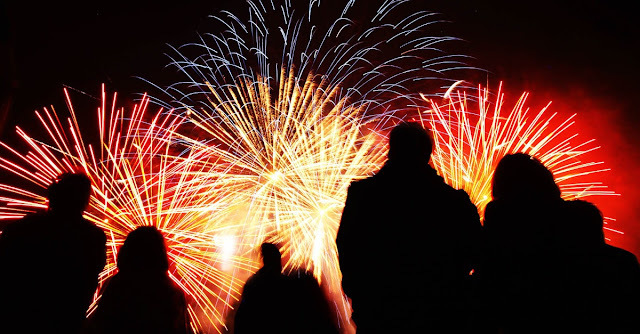 The topic today is: 'Fireworks Night' - now I haven't been to a Fireworks Night for a couple of years mainly because I was working on the nights they happened. One that I always remember was the first one Dave and myself went to - I think it might have been 2 years ago now. It was also the first night I met 2 of his friends Luke and Mark. There were four other friends too but I had met them previously when we went bowling together. The fireworks were amazing - some of the best I've ever seen. After they had ended and everyone cheered and clapped. There must have been some leftover fireworks they decided not to use however they somehow got lit and about 50 of them went off at once which created a loud explosion and the ground actually shook and they set a few car alarms off. Luckily nobody got hurt but it was quite funny at the same time. Do you enjoy Firework Night? Let me know in the comments - can you remember any crazy things happening at one you went to?